Not only does the Billet Bezel Ring make the Cup-holder look much nicer, it actually makes it much more functional as well. The inside diameter is reduced to just over the size of a standard soda can. As a result, you do not risk tipping the can over and spilling it as you can with the stock opening. Even if you never use the cup-holder, there is no denying the aesthetic beauty of the bezel and that in itself makes this a great addition to the interior of the SRT10 Viper. Finished in pearl bright or triple chrome. Contains one Cup Holder metal polished ring. This set of four bezels comes in either pearl bright or satin chrome to match the stock shift bezel and accents or in a brilliant triple chrome high polish finish to match our chrome accessories. Either way you go, you will transform the plain cockpit of your viper into a look much more appropriate for this world class exotic. 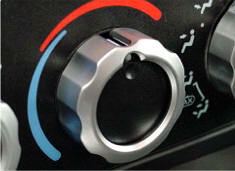 Installation requires no modifications at all to your viper and takes just minutes. 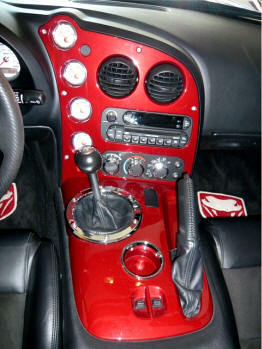 These CNC machined accent rings really dress up the rather plain looking round A/C Knobs on the SRT10 Viper. 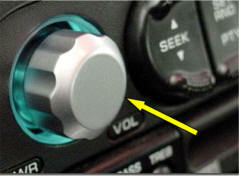 They simply press over the outer part of your factory knobs and lock down for a perfect fit. 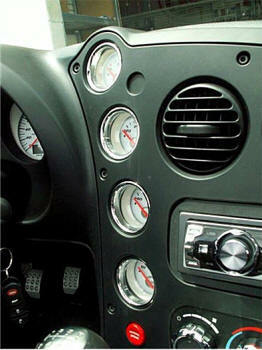 The machined scallop feature on the outside of each knob gives a much better feel and look as well. Finished with a triple chrome plating process they are a perfect match to our other accents. 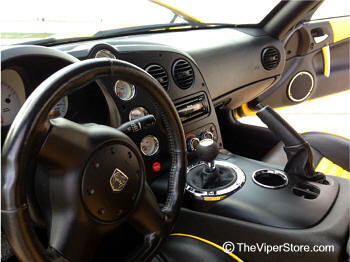 This CNC machined radio knob is a great compliment to our Viper A/C trim rings on the SRT10 Viper. 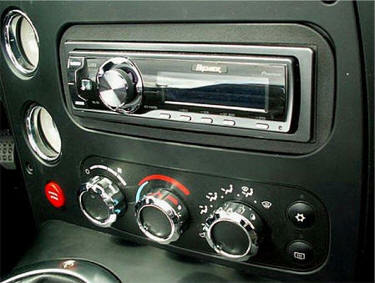 Simple replacement takes under a minute to install and requires no modifications to the car radio. The scalloped outer surface makes for a great precision feel when adjusting the volume and accents the theme of the trim rings perfectly.